What are our top Customer Experience predictions for 2019? It’s that time of year again, when we look back at the year behind us and speculate about what’s to come. It’s been an amazing year for trends in business technology, organizational leadership, and customer expectations, so where are we headed based on these? Adam and Jeannie hace some cool predictions for 2019! 2. Whose role is it anyway!? 2018 has seen a resurgence of retro apparel, decor and even food… and the hipsters have been doing that since before it was cool, amiright!? We don’t think they’re going to stop there. In fact, they’re about to amp up their fascination with embracing the old as new and begin to demand retro experiences. Can you and your staff handle it? We had a lot of fun recording this episode, so we hope you’ll have as much fun listening! 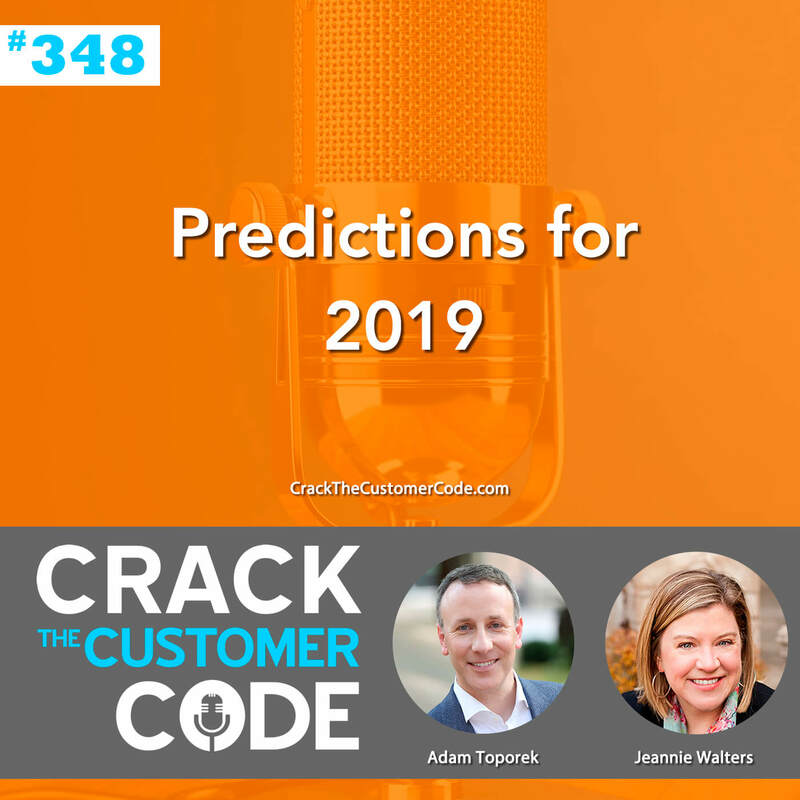 And here’s a bonus prediction for today: You will download this episode, then rate and review Crack the Customer Code. (Can’t blame me for trying, right?) Listen in!